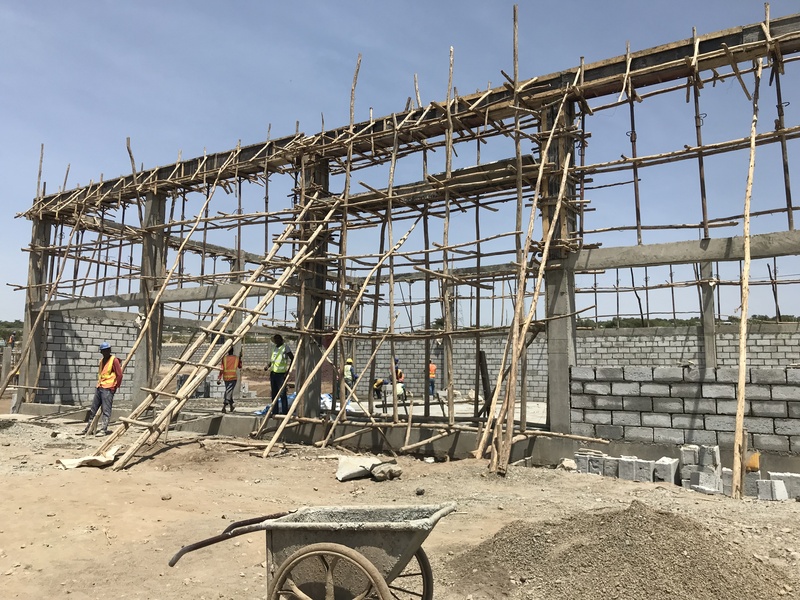 Ethiopia’s first medical waste incinerator facility under construction outside Addis Ababa. ANN ARBOR— A group of Ethiopian business leaders are partnering with the William Davidson Institute at University of Michigan to find financially and ecologically sustainable solutions to Ethiopia’s medical waste problem. While Ethiopia has official directives that mandate the proper and timely disposal of medical waste, enforcement often has been challenging. This has resulted in warehouses full of expired pharmaceuticals along with biomedical waste generated by hospitals and other healthcare facilities. 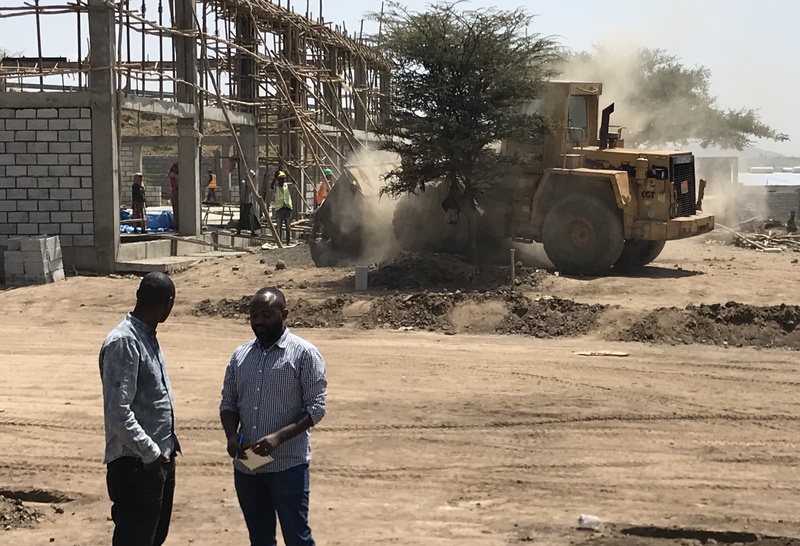 Recently, the Ethiopian government has started building its first medical waste incinerator facility outside the capital city of Addis Ababa to burn expired pills, and has committed to building seven more around the country. The business managers led by Mel Negussie and Tamrat Bekele are interested in managing the business aspects of operating the incinerators and reached out to WDI to help them think through the business plan. 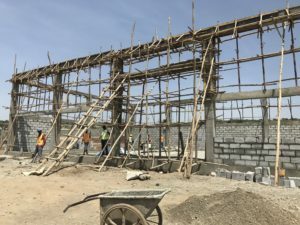 WDI’s vice president of administration and publishing Claire Hogikyan traveled to Ethiopia in Fall 2018 on a fact-finding mission. At the end of her week-long visit, Hogikyan thought Negussie and his group needed to go in a different direction. “While many expired pharmaceuticals can be incinerated, many cannot,” she said. For example, medications that are toxic or items such as inhalers that would explode when burned can not be incinerated. Additionally, there are ongoing environmental concerns that accompany incineration. Hogikyan suggested an autoclave. An autoclave uses heat to disinfect the material and a grinder -similar to a kitchen sink disposal system enlarged and turned on its side. The disinfected and ground material is spit out onto a conveyor belt where a pulverizer breaks down the material further into indistinguishable components. The remaining waste is then dumped into plastic barrels which are shipped to a landfill and buried. Most U.S. hospitals, including at the University of Michigan, use an autoclave to properly dispose of expired pharmaceuticals as well as biomedical waste. WDI President Paul Clyde said the Ethiopian partnership is a great fit for the Institute. He said Negussie and his partner, Tamrat Bekele, are smart businessmen trying to build a model to solve a problem that hasn’t been addressed by a profitable business in the past. “Working with them to develop something in medical waste gives us a model that we can take to other countries and work with other partners to develop similar businesses,” Clyde said. Hogikyan, and a team of weekend MBA students are developing a proposal to be presented to the Ethiopian government later this year. The proposal will include analysis on several aspects of the incinerator project, including estimating costs, pricing and a plan to scale it. The plan will include an autoclave facility in Addis Ababa that would handle a buildup of biomedical waste from surrounding healthcare facilities, another challenge the Ethiopian government is trying to address. The businessmen expect to submit proposals to the Ethiopian government this spring to operate the incinerators and also open an autoclave facility. Negussie said he hopes to have an autoclave in the capital city up and running by fall 2019.